Texas real estate investment fraud lawyer, Jason Coomer, handles large Texas real estate investment fraud lawsuits. He represents business investors and consumer investors from Texas, throughout the United States, and throughout the World. His cases include Texas real property including both residential real estate and commercial real estate. For larger cases, cases outside of Central Texas, and difficult cases, he commonly works with other real estate investor fraud lawyers on fraudulent appraisals, negligent misrepresentations, fraudulent misrepresentations, breach of contract, seller fraud, developer fraud, broker fraud, mortgage fraud, and other real estate fraud lawsuits including condos, home, or buildings sold through misrepresentations or with significant undisclosed defects. If you need a Texas real estate investment fraud lawyer to advise you on a real estate fraud lawsuit, please feel free to contact Texas real estate lawyer Jason Coomer through e-mail or use our contact form. Over the past decade, real estate investment has been an extremely lucrative investment for many investors, families, businesses, and individuals. These lucrative real estate investments have been especially true in Austin Texas and different parts of Texas where the value of real estate has increased dramatically and the construction industry is booming. Investors from all over the World have been purchasing property in Texas and many have made a great deal of money. For many of these real estate investors they have gotten into projects at the ground floor and have made a substantial amount of money. However, for other investors they have been taken advantage of by unscrupulous real estate developers, been caught in fraudulent transactions, or have been pulled into a lawsuit by a fraudulent, negligent, or bankrupt party. With recent developments in the credit market and real estate market, many misrepresentations and fraudulent transactions have come to light. Investment properties are not all increasing in value and the lax wild west booming market that allowed less oversight has attracted many deceptive people that will do anything for a profit. Too many real estate developers and sellers have cut so many corners and have found accomplices only interested in making a sale in real estate brokers, agents, appraisers, escrow agents, title companies, and mortgage companies. These groups of real estate "professionals" have created traps for real estate investors that take hundreds of thousands or millions of dollars. In working with other Real Estate Fraud Lawyers, Jason Coomer has worked hard in handling large real estate fraud cases where tens of millions of dollars are at stake and investors need a legal team to seek justice. These teams represent real estate investors that have been lured into bad investments through misrepresentations about the actual value or condition of investment property. In some situations, real estate developers have used fraudulent appraisals and misrepresentations to fool investors out of millions of dollars. In many instances, the normal safe guards and checks on real estate deals including mortgage companies, escrow agents, title companies, and real estate agents do not work because they are mere agents of the fraudulent sellers or fail to do their due diligence to obtain a short term sale and collect a commission. In these situations, it is important to have a real estate fraud lawyer review your claim and if necessary file a real estate fraud lawsuit. 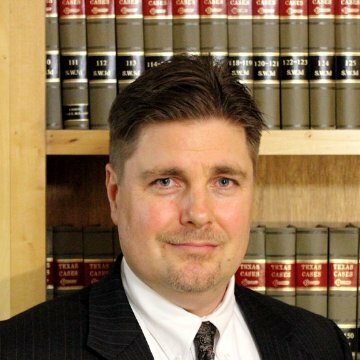 Austin Texas Real Estate Fraud Lawyer Jason Coomer commonly works with other Texas Real Estate Investment Fraud Lawyers on large real estate fraud claims through out Texas and also works with other Real Estate Investor Fraud Lawyers throughout the United States on large real estate fraud lawsuits. These litigation teams often file suits against several parties to seek justice. Unfortunately, the credit crunch has made many border line real estate deals unprofitable or caused the newer developments to collapse. In these cases many investors have lost tens of thousand of dollars, hundreds of thousands of dollars, or even millions of dollars, when financing does not come through. Even the investors that still can get financing can still lose substantial sums of money when the developer loses other investors and goes into bankruptcy or stops work. The value of the entire project drops dramatically and some of the developers grab all the money that they can and run or made fraudulent transfers. If you have been caught in one of these collapsing real estate investments and your real estate developer has taken your earnest money & will not return it, is going through or threatening bankruptcy, has greatly misrepresented the value of your investment property, or has never finished your investment property & has left you in limbo, it is important to understand your rights and how to best protect your investment. Texas real estate fraud lawyer Jason Coomer handles real estate development transactions and commonly works with San Antonio Real Estate Fraud Lawyers, Dallas Real Estate Development Lawyers, Houston Real Estate Development Lawyers, and other Austin Real Estate Fraud Lawyers in providing representation and advice on large fraudulent real estate transactions. He is admitted to practice in both Texas State Court and in Federal Court (Western District of Texas) as well as has handled real estate arbitrations, mediations, and negotiations. If you or a group of investors need a Texas real estate investment fraud lawyer or an Texas attorney to advise you on business development, contact Texas real estate fraud lawyer Jason Coomer.